Freshman Dug McDaniel's amazing success running the show for powerful PVI landed him five Division I scholarship offers. Some coaches say you can never have enough point guards on the roster, but pretty sure this one has enough of them. Freshman guards manned the point for some pretty darn good teams this year, as starters and key reserves. The fact that coaches were able to trust these guys to run the offense says a lot about these kids in general. 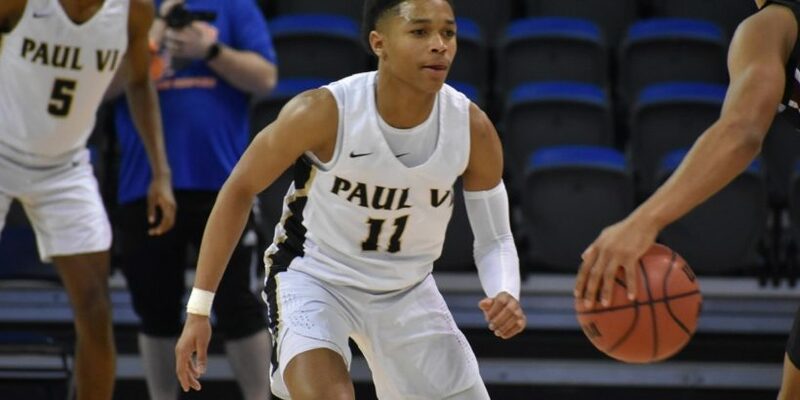 No freshman made a bigger impact than Knasir McDaniel of Paul VI. When Ant Harris and Jeremy Roach went down with season-ending injuries, “Dug” stepped right into the PVI starting lineup and excelled. Despite losing two high-DI talents, the Panthers barely missed a beat with McDaniel running the show. With a lightning-quick first step and absolutely no fear, McDaniel was able to distribute the ball efficiently to his talented teammates. Kid could score as well, contributing double figures in most games. His best scoring game came in the Panthers’ comeback win over O’Connell in which he scored 26 points–and dished 12 assists. McDaniel did a little bit of everything pretty well and already has five DI offers. Honore was ready to play from day one, scoring 12 points in a season-opening 69-68 victory over Stonewall Jackson. He already can attack the rim like few can and you know the coach’s son is going to play hard-nosed defense–or else. Speaking of Stonewall, another freshman point that impressed was Lorenzo Nichols. Nichols garnered second team All-Cedar Run District honors this year after averaging in double figures and has a very bright future ahead. He’s got a smooth lefty jump shot and great elevation on it. When he’s on defense you had better account for his location, because he’s always looking to pick the opposition’s pockets. Going to make it a point to get out to Stonewall more next year to watch not only the Raiders, but Nichols in particular. 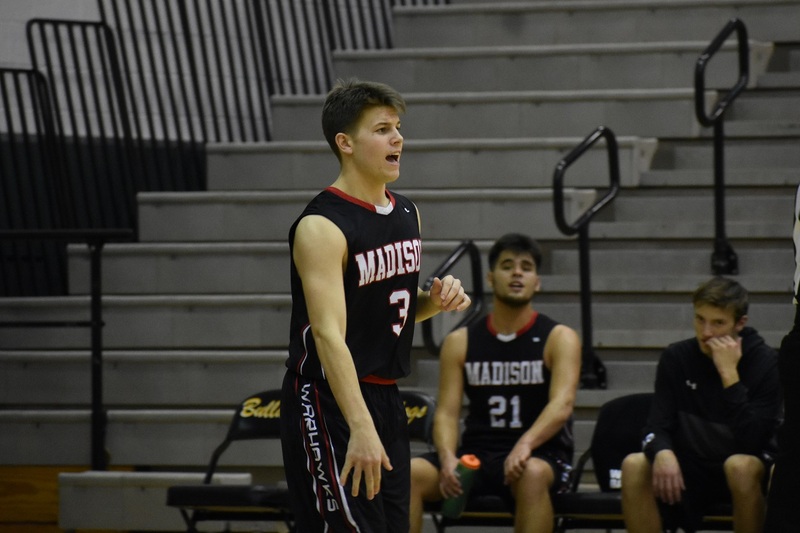 Annandale’s Max Lanham hit five threes in one game versus Mount Vernon. We completely buy it. 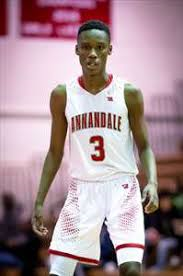 Didn’t even realize Lanham was a freshman at first by watching him play–he impresses with his court smarts and understanding how to space the court. Skilled in all facets of the game, the shooting guard made his mark this year mostly by nailing treys. Lanham hit dozens of them on the year and was a huge weapon for an Atoms team that pushed South County in the second round of the Occoquan Region Tournament. Would Lake Braddock have won that regional tournament without David Solomon? The answer is almost most certainly no. Solomon, an instant starter and double-double machine in Brian Metress’ up-tempo system, was a godsend for the Bruins with his length and athleticism. The 6’4″ forward protected the paint and controlled the boards, more than holding his own against the impressive senior big men of teams like South County, Woodson, and Robinson. He often scored in double figures, doing most of his damage close to the rim. He’s already a perfect big man for Metress’ system, adept at getting steals, blocks, and running the floor. Outlets such as The Washington Post have already taken notice of his dunking ability. Very coordinated, the scary part will be as Solomon expands his game in the coming years. Can you imagine how tough it’ll be to stop this guy when he starts hitting threes as the trailer on the Bruins fast break? Our “reserves” have all proven they can start if need be. They’ve also proven they can pressure the ball and aren’t afraid of the moment. Osbourn Park is trending up under new coach Jeremy Coleman and one reason why is the Jackets have three talented freshmen in Dominick Shoemaker, Logan Dwyer, and Cameron Cole. Cole is a point guard with good length who started for Coleman’s team in 2018-2019. He had several big games, including one where he scored 19 points in a key win over Battlefield. Kid can shoot and has the potential to be a really good one down the road. 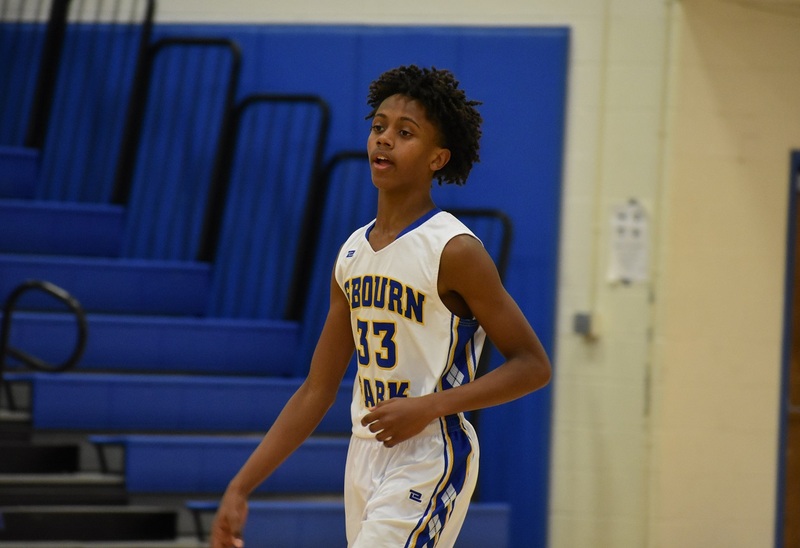 Osbourn Park’s freshman Cameron Cole was unafraid to run the show in 2018-2019. Like Honore, another freshman that plays for his dad is Jalen West down at Freedom-Woodbridge. Guys like West are making the varsity as a freshman almost no matter where they go, however. West can play shooting guard or point and has good length at over six feet tall. As he adds strength to his frame look out. West didn’t have any eye-popping statistical performances but we were impressed with his consistency. He seemed to always contribute on the offensive end with a key bucket and his defensive versatility was apparent. Woodbridge was very young this season but the Vikings should be a threat at regionals again very soon. Watch out for freshmen Michael Cooper and Frankie Lee. Lee, a shooting guard and small forward, was honored with a spot on the All-Cardinal District team. All these freshmen hit big shots but Lee converted more than his fair share of them, notably one at the buzzer to defeat Hylton. Lee has impressive range from behind the arc and good size. He’ll be a leader for the Vikings for years to come. Braylon Wheeler of Hayfield is one to watch as well. He’s small but fearless, as well as athletic and a good shooter. He’ll attack the rim with a floater or a strong burst and draw contact, and he has a good idea when to dish after he draws the defense. Carlos Poindexter has cultivated a deep program at Hayfield and wasn’t initially sure how much Wheeler would play in his freshman campaign. Wheeler proved ready, earning more and more minutes as the season progressed and showing up big in some huge games. With depth behind him and the athletic ability to become a pest on defense, expect Wheeler to develop into one of the region’s best point guards. He’ll have a rival not far away in Edison’s Bryce Hawkins. Hawkins, another under six-foot guard, really made his mark on defense. Hawkins produced steal after steal and was named to the National District All-Defensive Team. As you would expect, Hawkins has quick hands and quick feet and uses them to frustrate older opponents. He can score, as evidenced by his career-high 18 points in an Edison win over Laurel. The Eagles guard is not afraid to go to the glass as well. Our Honorable Mention is stacked. A lot of the private school guys listed just didn’t get enough minutes/stats to make the team, but they’re going to be stars. Bo Kuhblank of Madison, another coach’s son, is another kid we really like. Congrats to the freshman boys who just made their varsity team. That’s a great accomplishment in itself. As usual if we missed someone, let us know! Madison’s Bo Kuhblank is another one with a bright future. Not sure how Zachary Bolgert from County Christian doesn’t make this list. 6’7 forward averaging close to a double. Trinity Christian Christmas tournament MVP, More Than Basketball showcase player of the game vs Glegelg County Day. Played well against Christ Chapel and Virgina Academy. Several 20 point games including Broad Run and Lee high school.